For over 40 years Architectural Windows & Doors Inc has specialized in providing high quality windows and doors. We represent the finest the quality manufactures. AWD distributes a variety of products ranging from wood/clad, aluminum to steel. We supply Loewen windows and doors, Windsor Windows and doors, Albertini and Arcadia Custom, along with custom wood interior and entry doors. The Arcadia Custom division specializes in producing fine quality windows and doors for the Luxury Home Market. The focus is custom Thermally-broken Steel, Thermally-broken Aluminum and Wood products. Arcadia has the resources and capabilities to ensure your project is a success. It is the only company of its kind that allows the builder, architect, designer and/or homeowner complete design control, ensuring that the windows, doors and hardware are built with a consistent look and quality that only a single-source supplier can offer. From the start of your project until the end, we have the right people to make your project a success. We get it right the first time. Come visit our beautiful showroom. *Hunter Douglas Authorized Dealer* Mountain Windows offers premium Hunter Douglas window fashions. We will help you transform your spaces into a design that's stylish, as well as functional. We also offer motorized window treatments for the high-tech homeowner, so you can control your shades from anywhere on the planet! Mountain Windows was started in 1980 and purchased by Lars Nelson in 2015. Lars has lived in the Gunnison Valley his entire life and is excited to provide his community with stellar service. Offerings include window coverings from HunterDouglas and windows and doors from Marvin, Kolbe, and WeatherShield. Mountain Windows offers Shop-at-Home service, where we bring the showroom to you! During our visit, we will bring product samples and determine the best solution for your windows. 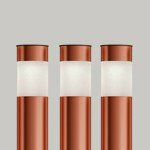 We also offer onsite measuring and installation of all Hunter Douglas products. Contact us today to get started. We are a full service, residential and commercial, door and window company located in Breckenridge, Colorado. We are family owned and operated and have been serving Summit County and the Western Slope since 1998. In addition to Door, Window, Trim, Glass and Hardware sales, GD&W offers service of all of our products. Behind our showroom, we have an on-site door shop that can pre-hang your door, trim it and match it to your specifications. 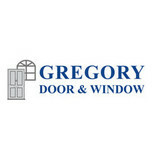 At Gregory Door & Window, we welcome the opportunity to fulfill your entire door and window needs. 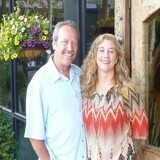 Please stop by our showroom in Breckenridge to allow John and Susan to introduce themselves and our wonderful employees. Our offices and showroom are open Monday through Friday from 8 AM to 5 PM. We are happy to make a Saturday appointment, as long as it's not a good powder day! John Clouatre and Lonnie Hotte each have 20+ years in the general contracting business in the Vail Valley. They also have additional specialized training from Architectural Testing, Inc. and are certified as InstallationMasters of windows by Sierra Pacific ensuring that your investment in improving your home will be successful. Mariposa Window & Door, located in Salida, Colorado, is locally owned and operated since 1994. Starting small with one truck, trailer and a small warehouse, Mariposa has grown into a full service window, door and hardware specialty store. Starting out mainly servicing Chaffee County, we now have grown our territory to over 12 surrounding counties. 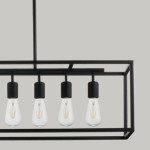 Mariposa currently employs 5 who make up inside sales, outside sales, service, delivery and operations. Each employee is well trained in their respective fields, but also cross-trained in order to assist with any of our customer needs. SolarGlass has been selling windows, doors, and skylights to homeowners, custom builders, commercial and residential contractors and retrofit installers since 1981. Whether you’re building a new Aspen home, remodeling an old one or just replacing a few windows that are past their prime, your window dealer in Aspen, CO will help you pick the right windows for your needs, home style and budget. Windows come in so many sizes and types that expert advice and direction is invaluable in helping you make the best decision. These pros can also help you with custom window designs that complement your space better than something ready-made. Lastly, if you are interested in doors with windows, these experts are also knowledgeable about sliding doors, French doors and other paned portals. 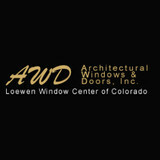 Your window pro might work closely with other Colorado builders and remodelers as well. Here are some related professionals and vendors to complement the work of window sales & installation: Window Treatments, General Contractors, Home Builders, Specialty Contractors, Siding & Exteriors. 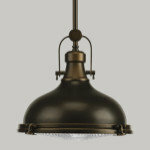 Find a window dealer on Houzz. 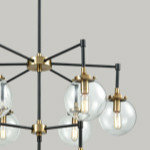 Narrow your search in the Professionals section of the website to Aspen, CO window dealers. You can also look through Aspen, CO photos to find examples of windows that you like, then contact the window professional who worked on them.